Let Metro Printing create your custom signs & banners. Our state of the art equipment ensures that your business or event will look as professional as possible with the highest quality and most durable outdoor banners, graphics, and signage. From traditional vinyl banners to frosted glass signage for your business, Metro Printing has the ability to produce all of your custom signs & banners to your exact specifications at the most affordable price in the business. 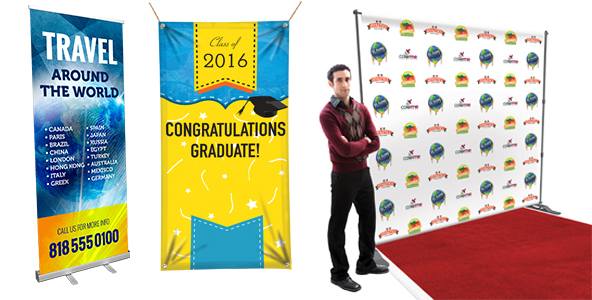 Our custom signs & banners are printed in full color with many mounting and lamination options. Contact us to get started on branding your business or event today.